Earlier this summer, we invited you to finish a science fiction story Roger was toying with when he passed away. We got dozens of submissions, from light-hearted set-ups for puns Roger would have loved to more serious explorations of the kinds of themes that drew Roger to science fiction in the first place. We passed along the entries to our pal Krishna Bala Shenoi, whose wonderful artwork brought Roger's beginning of the story to life. He's been reading them and creating illustrations as the muse strikes. So far, we've posted 20 endings. Here are five more, bringing us to 25 endings. Now it's time to start voting! Each time we post a new selection of endings, we want you to vote on your favorite. We'll keep you posted on which endings are winning in the polls, but of course in our hearts they're all winners for taking up the challenge to finish the story. Each week we'll post more, and we'll let you vote for a week on your favorite out of each week's endings. We will give you four at a time until we are done. We got over sixteen hundred votes in the first four rounds of polling! The winner of the first batch of eight was Ariel Gonzales, whose ending you can read here. In the next batch of four, the winner was Jeremy Gable, whose ending you can read here. In the third batch of four, the winner was Andreas Belgun, whose ending you can read here. And in last week's batch, Sid P was the winner. Read his ending here. Once we've published all the endings, we'll bring back the winners from each week's voting for a final round. Check out these endings from Gary Bowers, Jackie Meyers, Martin Pitt-Bradley, Mike Renn and Greg Salvatore. Then vote on your favorite! 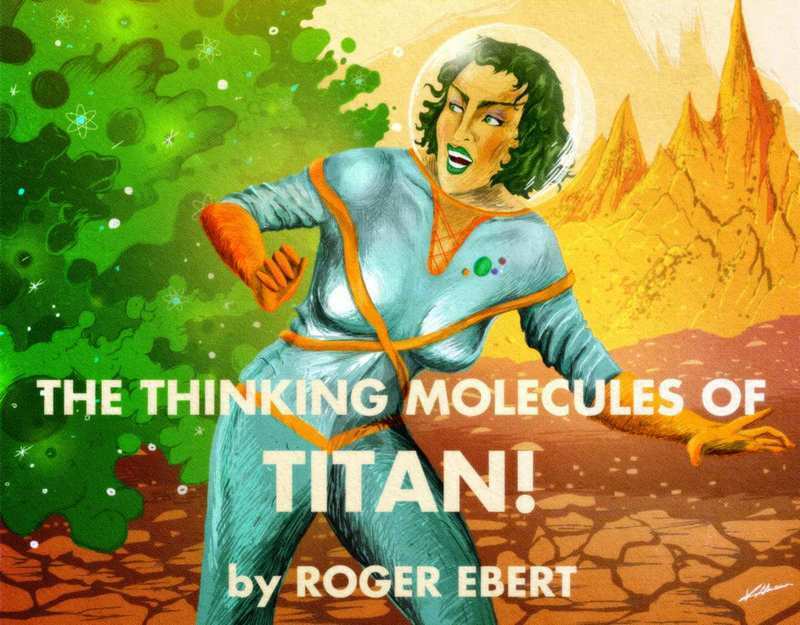 Which of these five endings for "The Thinking Molecules of Titan" is your favorite?